There are a lot of aspects of the golf game that get overlooked because of those parts that have bigger roles, like golf clubs and golf balls. We want to focus for now on a seemingly insignificant part of your golf game – the sunglasses you wear. Does it really matter what pair of sunglasses you buy and what features they offer? Will that really affect your game in any significant way? As any experienced golfer knows, everything plays an important role in how well you perform out on the golf course, and even the small things that don’t seem very important can be significant. We’re going to help you find the best golf sunglasses to wear so that you can improve your game by however it may be. We have shown you what you look for and what to be careful of, and now we want to cover some of the best golf sunglasses on the market today. We picked these out because of their value, their quality and their range of features. No matter your taste or your budget, you should be able to find a pair of sunglasses from this list that fits your needs. 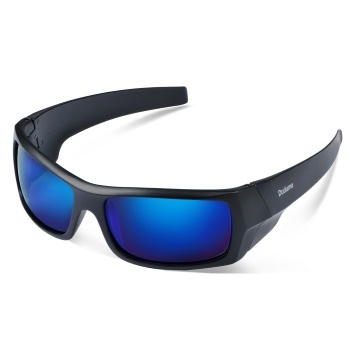 This is one of the best sunglasses for golf that you can get, because it offers features that other glasses are missing while not compromising on durability and practicality. These are lightweight, comfortable glasses that can hold up to a lot of wear and tear. They use a light material known as O Matter plastic, which allows them to feel practically weightless but also be incredibly durable. They also have no lower lens support, which allows you to see the golf ball better when you are looking down at it, providing a large field of vision. We do need to point out that these glasses are not polarized, no matter which of the available versions you buy, so keep that in mind if you are looking for long-term eye protection. They do have UV protection, though, and they come in a few different colors to suit your style. Greater visibility compare to most of the competition. A kind of high price point. These glasses from Tifosi are designed to stand up to all kinds of wear and tear. If you drop them, they will flex instead of break. The frames are made from very strong TR-90 nylon. This material is resistant to degradation from sunlight and will last for an incredibly long time. You can purchase these in several different tints, and they all come with glare block that reduces eye strain and radiation damage to your eyes. The lenses are just as tough as the frames and are designed to withstand some serious impact and keep on working great. 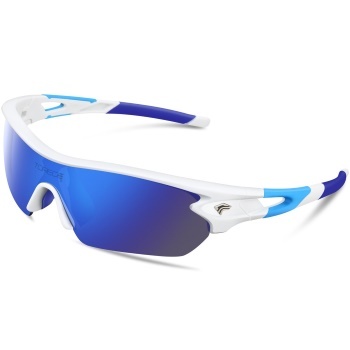 These are some of the toughest lightweight and affordable sunglasses for golf you will find, and the protection for your eyes is fantastic. The only downside is that the lenses can detach from the frames after some wear. Very tough design of frames and lenses. Multiple tint choices to pick from. There have been some reports of frames and lenses that are not connected very strongly. We like that these sunglasses offer no lower lens support, since that means you can more easily see the ball when you golf. The wraparound design ensures that the glasses won’t fall off as you play, and the entire product is very strong and made to last for a long time. The lenses are very large offering great protection for your eyes against the sun and blocking out the sun from most angles. While these glasses are mostly incredibly durable, the rubber nose on them is not so tough and it may come off after a short while. Thankfully, the manufacturer offers a lifetime warranty on the sunglasses’ components, so it should not be problem to get a replacement if this happens. Lifetime warranty ensures you will be using these for a long time. The rubber nose holder is not very strong. The price tag on these shades is a lot more affordable than much of what we have shown you so far, but they are also not as durable compared to the other options on this list. They’ll work fine for most golfers, providing great eye coverage with their large lenses, but the lower frame support can block your view of the ball at times, and these glasses are not made to handle a lot of wear and tear. They are very light though, and comfortable to wear. As the name tells you, they offer polarization to protect your eyes. You can order these in a wide range of styles and colors to match your preferences, and the soft rubber nose provides a comfortable fit. Even though these are not the strongest sunglasses you’ll come across, the frames are covered by a lifetime warranty, so your money is being well-spent. The ergonomic design ensures that the sun is blocked from any angle, providing exceptional coverage from glare while you play. Great coverage for your eyes. Only some of the glasses components are covered by the full warranty. Not as durable as some of the other options here. Here is another affordable pair of sunglasses that comes in a wide range of options. These are superlight and very durable, and they are covered by a lifetime warranty. The manufacturer will service and replace any components on the glasses that break after you buy them. They also come with state-of-the-art polarization features that block out most radiation and some glare without altering or distorting the image for you in any way. They don’t do a great job of blocking out actual sunlight, though. If the sun is very bright, then you won’t get the protection you are likely expecting from a pair of sports sunglasses. The low price tag is warranted then, as these perform reasonably well but are not the best glasses for sunny golf courses. We recommend these more as an excellent pair of backup glasses for those who already have a good pair of primary glasses for golfing. That’s because these are so cheap and easy to replace, but you won’t have to replace them on your own, since the manufacturer will cover that for you. Warranty will take care of most problems. Not much protection from very bright light. 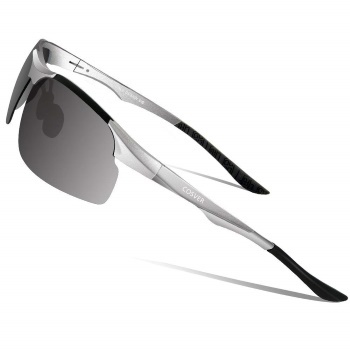 With these glasses, you get decent protection from sunlight for a decent price. The coating and the frames may not be incredibly strong or last very long, but these are definitely serviceable. The wider than normal lenses give you some great protection from the sun and improve visibility and clarity. They also cut down on eye strain, but they are not polarized. You won’t pay very much for these, but they may not last you more than a few months, and the screwdriver that comes with them is a good sign that they will need some adjustment and repairs from time to time. Wide lenses offer lots of protection. Makes it easy to see the ball. 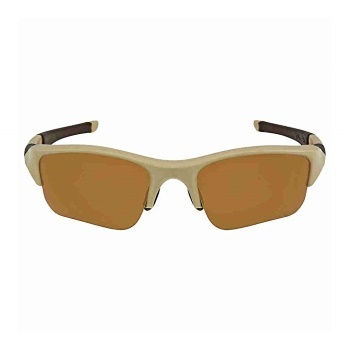 These polarized glasses will experience reduced wear, and they are designed to fit your face comfortably and securely. The soft nose pad helps the glasses feel like they are hardly there, as does the lightweight design, but the nose pad isn’t very strong and may break after a while. The frame and lens both come with a lifetime breakage guarantee, so even though these are not the strongest glasses, you won’t have to worry about replacing them. If you want your money back, you have 30 days to request a refund. These are affordable, decent glasses that do a good job of protecting your eyes. The lenses are a bit small and may allow some sunlight in though. Covered for the lifetime of the product. Polarized lenses protect your eyes. Great price point makes them affordable. Some components are not very strong. Even though these are some of the cheapest glasses on this list, they are still very sturdy and incredibly difficult to break. They may scratch, and some of the smaller components may not stay on as well, but the frames and lenses are very durable and are covered by a 90-day money back guarantee. They feel incredibly light on your face and are quite comfortable, thanks to some smart design choices like a soft nose pad and the lightweight construction. 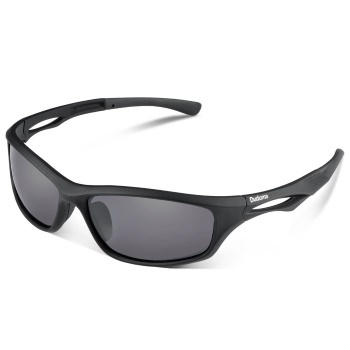 They offer great UV protection and decent sun blockage, and the wraparound design ensures they don’t fall off. The field of vision is slightly restrained on this one when compared to our other choices, but it may still work well for you. 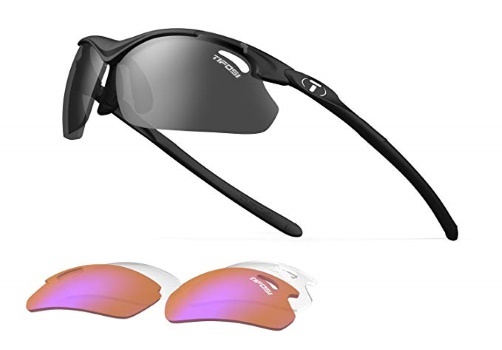 The manufacturer lets you try them risk free, so if you are looking for a cheap pair of glasses that are decent for golfing, it can’t hurt to try these Afarer shades. Not made to last for a long time. Torege has designed an affordable and fairly effective pair of sunglasses here, but they fell short on the form-fitting features. These may float on some people’s faces rather than rest comfortably, and they are not made to be very durable, but that’s what you get with the low price range. 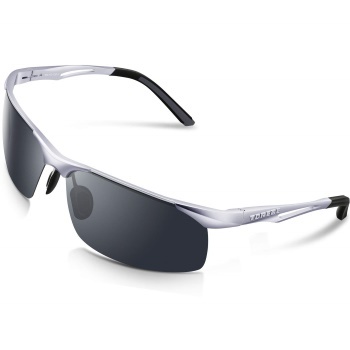 The features here are limited, but they provide decent protection from the sun and excellent vision clarity with zero distortion, which is not something that all sports sunglasses can boast. Some parts are not well constructed. May not rest comfortably on everyone’s face. Duduma offers a lot of different colors and styles for customers with this lineup, and the frame for this particular model is nearly unbreakable. There is a lot of value packed into these glasses for being offered at such a competitive price point. 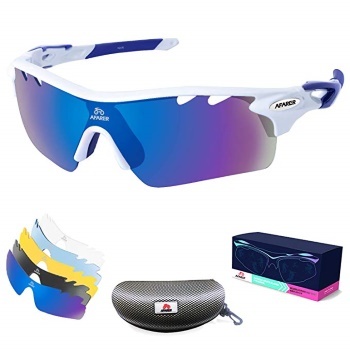 These retail for about the average price of sports sunglasses but the lightweight, ventilating design and reasonably good sunlight protection easily make it worth a lot more. You’re covered by lifetime warranty with these glasses. We do need to mention that these can be uncomfortable to wear for long periods of time for some people, but the 30-day money back guarantee will cover you if you are not happy with them. Competitive pricing makes them a great value. You might just think that any pair of sunglasses would be fine for golfing, but if you compete against someone who knows what they are doing and who has a pair of sunglasses made for golfing, while you just have whatever you could find for cheap, you are going to be at a definite disadvantage. The average sunglasses don’t provide the clarity and comfort that golfers need out there on the course. Many types of sunglasses will simply be too dark for you to see the ball properly. They may keep the sun out of your eyes, but that’s about it. 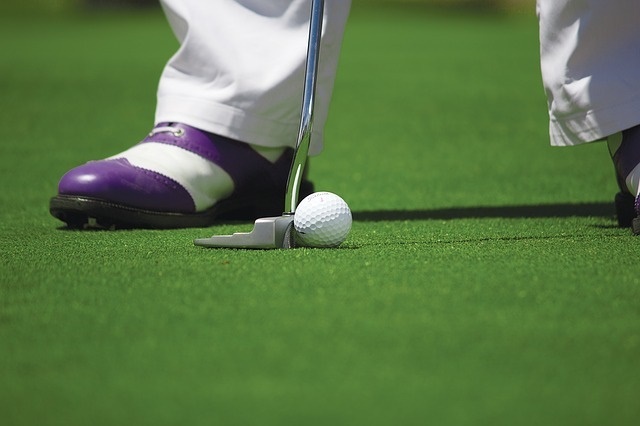 Having something that is specially designed for golfing or that fits a golfer’s unique needs can make a big impact on your game. You won’t have ideal weather conditions every time you are out there playing. There will be times where the sun will be directly in your eyes. In other times, your head will be sweating and it will be tough to keep your sunglasses on your face. That’s when you’ll wish you had a decent pair of sunglasses, instead of whatever you were able to find for a bargain. The right pair of sunglasses makes an impact because it reduces frustration, improves precision and comfort and allows you to play with fewer distractions. You won’t even realize the kind of impact the right sunglasses have on your game until you make the change. If you want to improve every aspect of your golf game no matter how minor, then you have to consider the kind of sunglasses you are using. Read on to find out what to look for and what some of the better sunglasses out there are offering. Fit- Most sunglasses will fit you just fine, and the majority are made to be a one-size fits all. But it’s not a bad idea to get a pair that is designed to fit your face in particular, such as a pair of prescription sunglasses. You’ll pay extra for that kind of fit, but if you struggle with typical sunglasses due to the shape of your head or your particular comfort needs, then you may want to consider going to your optometrist for the right sunglasses. Transition Glasses- A Pair of transition sunglasses are going to be more expensive than your typical shades, but they are the preferred glasses for the professional golfer. This kind of glasses will change how much shade it provides based on how bright the sun is. 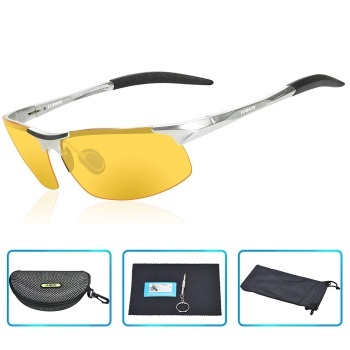 That ensures that you have clear visibility at all times and that your eyes are protected from the sun. A lot of golfers spend plenty of time out in the sun, and they need to consider how they are protecting their eyes. Transition shades offer some of the best protection, allowing only the right amount of sunlight in. UV Protection- Another feature of any common sunglasses is UV or ultraviolet protection. This safeguards your eyes against the harmful effects of radiation in sunlight. If you are going to be spending a lot of time outside in the sun, then you want to protect your eyes from the gradual deterioration caused by sunlight. The majority of sunglasses will include this feature, but it’s a good idea to check the product description before you buy it. It can make a big difference in the long run. It may not affect how well you see out on the course, but it can affect your eye’s health in the future. Durability- Your glasses may fall off your face as you swing, or you may accidentally drop them as you are crossing the green and take a wrong step. You want something that will last you for a long time and that is worth the investment you put into it. It’s not a bad idea to spend a bit extra and get glasses that you can depend on and that are designed to be durable, so that they last you for more than a few games. One of the best ways to ensure that you are getting tough glasses is to read customer reviews. It should be obvious after reading a few of them how long the glasses are going to last you. If the manufacturer covers their glasses with a warranty, that’s another good sign that the glasses are built to last. Buying Based on Style Alone- When you see your favorite golfer in pair of cool shades, it’s tempting to go for that same style, so that you can reach the same level of coolness as they do. That’s a temptation you want to avoid, as buying eye-wear based on style alone can make you overlook some poor aspects of a given pair of sunglasses. No Polarization- One of the most important factors to consider in sunglasses is polarization. Most people think that UV protection will safeguard their eyes enough, but what they may not realize is that it doesn’t do much for eyestrain. Polarization will help your eyes feel more relaxed and prevent them from becoming strained. You’ll spend a lot of time on the golf course looking at far away or small objects, such as the golf ball and the flag post. This is why you need protection from eyestrain, just as much as from UV radiation. Overly Expensive Glasses- There is a big market out there for overpriced sunglasses. These are glasses that are usually more about style, rather than any actual features. You will probably end up paying far too much for them. Be careful about falling into the trap of thinking that the more expensive glasses are the better ones. That’s not always true, and you can find some great glasses at a good price, if you are willing to do the research. We’ll cover some good and budget-priced ones here, but we want you to think about how much you can afford and how much the glasses are worth, rather than just assuming that a higher price means better quality. Poor Coverage- Another problem that golfers run into when they buy shades based solely on style is that there isn’t enough coverage for their eyes. You want to ensure that your eyes are fully covered and that no sunlight is coming in. The wider lens glasses might not be as popular as some of the sleeker, smaller shades, but they are far more functional. You will appreciate the greater coverage when you are out there playing in the sun. We hope one of these sunglasses stood out as a good choice for you. If you didn’t find one you like among those that we reviewed, you can always use the above guide to help you find suitable sunglasses. There are some great choices out there that we didn’t cover here, but we just want you to keep in mind that price and style are not the only factors to watch out for, and that you can find some great deals on high quality glasses that offer ample protection if you take the time to look. Once you get the pair of sunglasses that suits you well, you’ll have a much more pleasant time playing out in the sun, your eyes won’t feel as tired and you’ll be able to see the ball better.